Working Poor: Invisible in America . Books, articles, videos, and much more about the 2013-2014 community book : The Working Poor: Invisible in America by David K. Shipler. 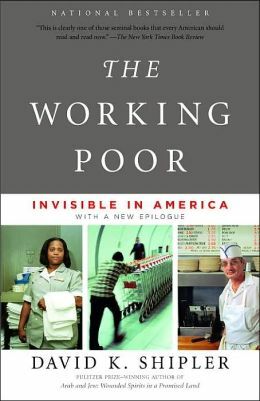 This Guide was created to help with research on the 2013-2014 community book, The Working Poor: Invisible in America by David K. Shipler. . Click on the tabs above to find books, articles, videos, websites, and much, much more.